Working for Change shares the experience of activists in Asia and Latin America who have campaigned to get their governments to improve education for disadvantaged children. 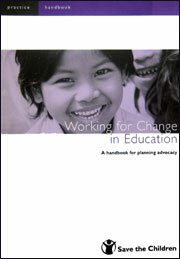 It offers a clear framework for planning advocacy. The examples are from the field of education, but relevant in any sector.